State Rep. Scott Turner, the Frisco Republican who unsuccessfully ran for speaker this year, has decided not to seek re-election. Turner announced his decision in an email to constituents Thursday, hinting that he is not done with politics. "One chapter is closing for now, and I am beginning new chapters that I believe hold great promise and potential," Turner wrote. "Though my service as a state representative comes to an end, you can count on me to use my voice to remain involved and champion our shared conservative values." Turner also told constituents he is looking forward to spending more time with his nephew Solomon, who has lived for years with Turner and his wife. In a January interview, Turner said that he and his wife were Solomon's "full-time parents." 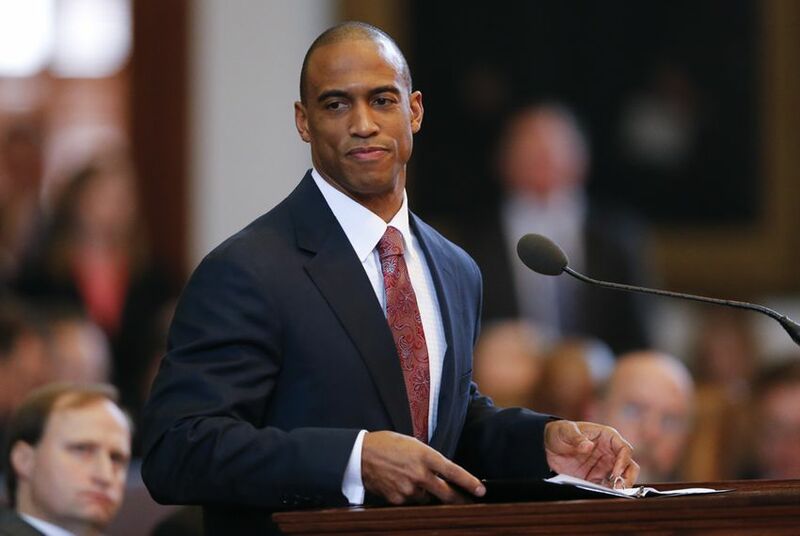 Turner is best known for his leadership challenge to House Speaker Joe Straus, which led to the first contested vote for speaker since 1975. Straus, a Republican from San Antonio, easily defeated the Tea Party-backed Turner in January to win a fourth term wielding the gavel. Turner was first elected to the Texas House in 2012. Before that, he played in the NFL for several years and made a failed bid for Congress in California. His departure creates a vacancy in House District 33, a safely Republican area that juts around McKinney in North Texas. Frisco Mayor Pro Tem John Keating confirmed Thursday he was interested in the seat shortly after another Frisco Republican, state Rep. Pat Fallon, expressed support for him. Aman Batheja contributed to this report.